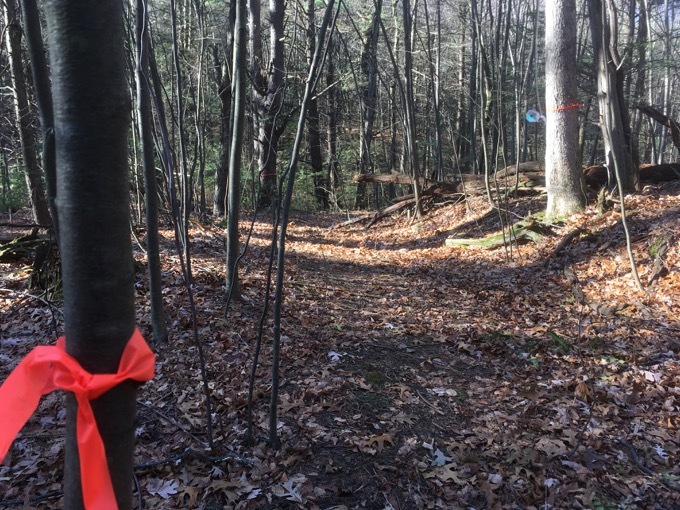 When I began looking into where to hike in Suffield and came upon the Suffield Land Conservancy’s website, I knew I was in for some difficulty. The SLC owns a ton of little parcels and they provide decent directions to them… but there are no maps. And, I’ve learned, they often mention trails that may or may not exist. I can now report what exists (for my selfish CTMTQ purposes) and what does not. Spencer Woods exists. There’s a(nother) handsome SLC sign! If this organization does anything better than most, it’s signage. It also has a well-marked rather awesome trail in it! Alas, that would be the Metacomet Trail; part of the New England National Scenic Trail. 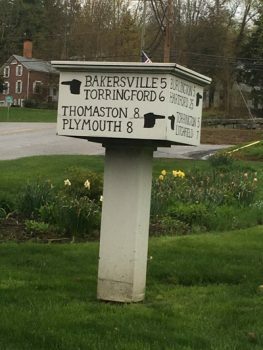 I parked at the hiker’s turn-out at the Phelps Road – Mountain Road intersection. I hiked south along the Metacomet through Spencer Woods. It was lovely. 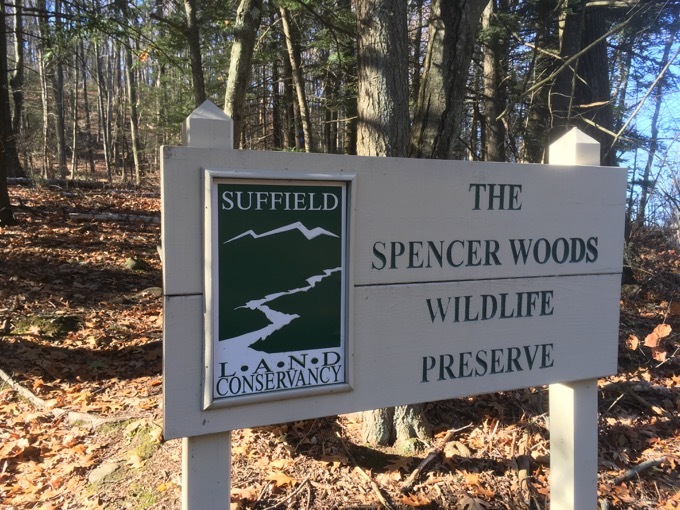 I want to say Spencer Woods covers the forest south to the green trail that accesses Suffield’s Sunrise Park, but I can’t be sure. 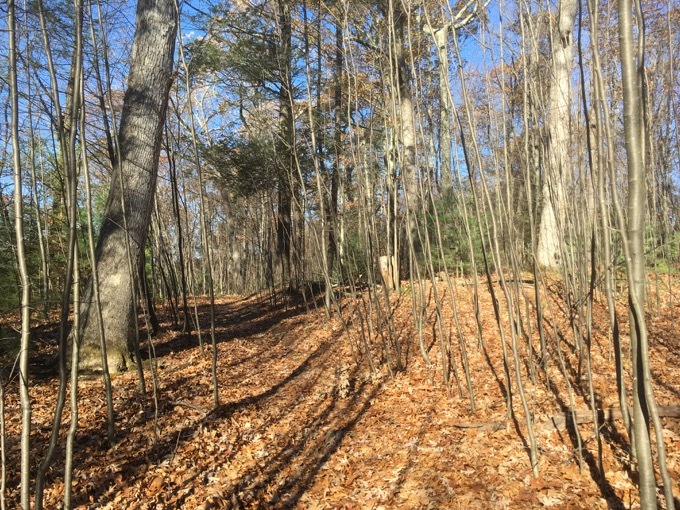 I went down it for a while and could see nothing of interest, so I returned up to the ridgeline and the Metacomet. And most excitingly, I found a chimney! I assume this is the highlight of Spencer Woods. 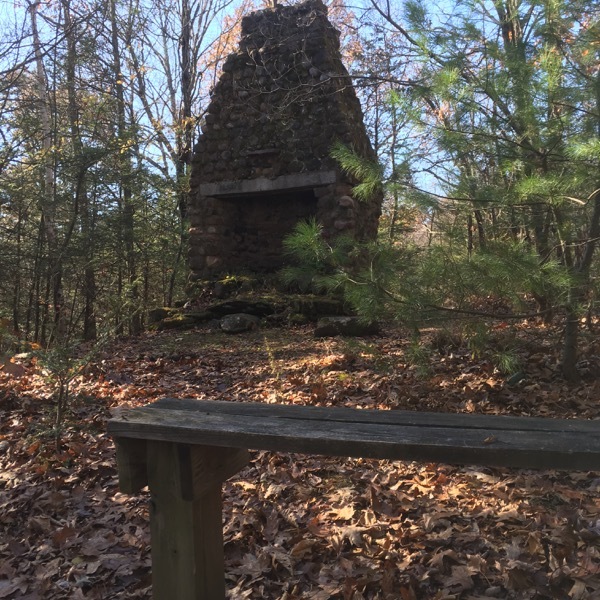 And since almost no one has written about Spencer Woods in Suffield before, I do hereby declare that this chimney is the highlight. There is even a bunch at the chimney! (Actually, there were two, but the second one was overgrown with junk.) 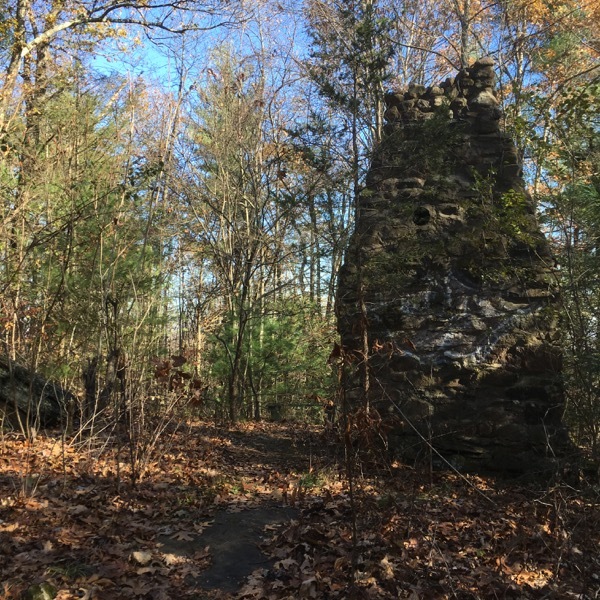 If you must go see this chimney, it accessed via a short unmarked trail heading east off the Metacomet just after you top the hill heading south. Then I went down the hill back to Phelps Road and my car. Now, I know the SLC’s Dildilian and Harmon Wood Lots are just south of where I turned around – and that there is at least one awesome viewpoint at an overlook. But that is also “just” the Metacomet, so I will just leave that alone until I hike through on the “real” trail someday.